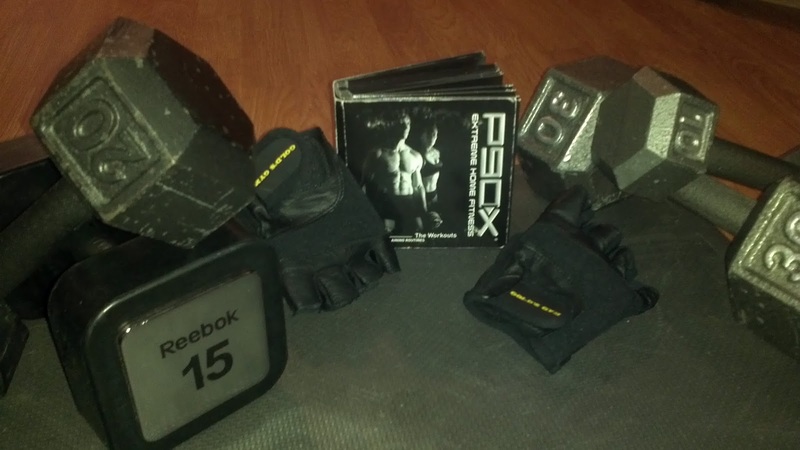 weight lifting gloves – Your Life. Your Hustle. Absolutely love this workout! Weight lifting gloves are a must. I used to play a lot of softball and the friction from the bat on my palms built up some mean calluses; well weights are no different. The gloves don’t completely prevent calluses but they do help! Tony is great in this session; it’s like having a personal training standing right next to you pushing you. I used to think I was super fit in high school as I was Ms. Varsity Swim this and Varsity softball that and I can remember weight lifting in my parents garage. I did three different exercises with three sets of 10 a piece. I was done in maybe 20 minutes tops and I thought I was “the bomb”. LOL I just carbon dated myself with that one! When I first started doing P90X weight workouts like Shoulder & Arms I couldn’t believe how many sets he was doing. When I looked at the workout sheet I thought to myself “there is no way I’m making it through this! There are 15 different exercises and I have to do them twice!” Is he crazy???? Yeah he’s crazy and I LOVE it! My “I’m the bomb” routine only did 9 total sets; Tony’s does 30! Chase this with some AbRipperX and you’ve had a very nice workout! Don’t forget your recovery drink. Super important for muscle repair.